An employer identification number (EIN) is a nine-digit number assigned by the IRS. It is used to identify the tax accounts of employers and certain others who have no employees. The IRS uses the number to identify taxpayers who are required to file various business tax returns. You can find find more information on getting your own here. Our commitment to quality service enables us to offer our clients competitive pricing for insurance. We can help you identify the type and amount of insurance that is right for you. To discuss your insurance needs call us at (417) 935-4080 or toll free at 1 (877) 746-2642. You can also contact us here. 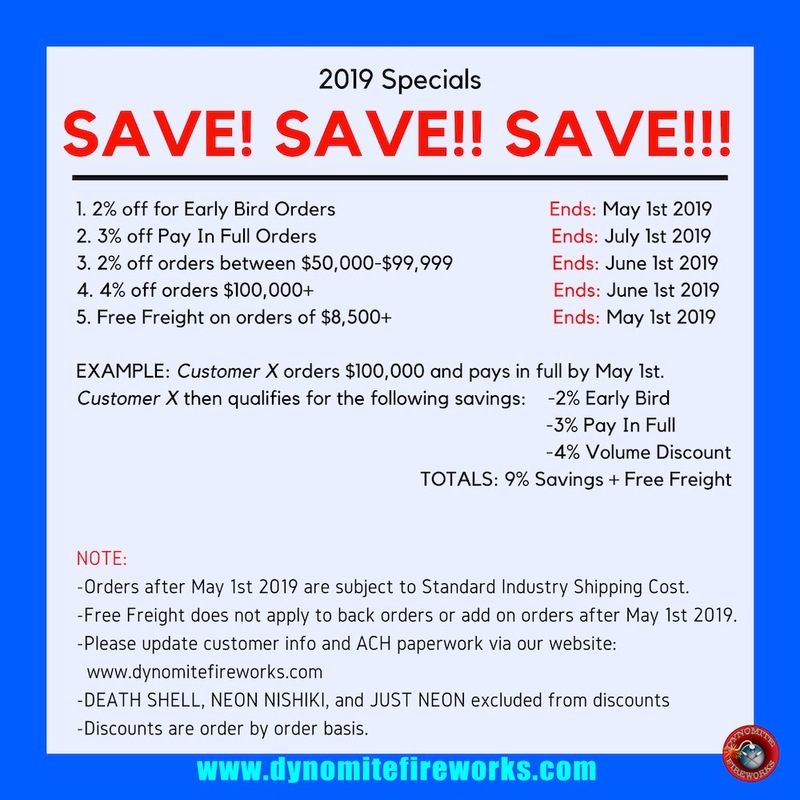 We can help find the right shipping option for your fireworks. All fireworks are shipped by Common Carrier. Didn’t see the answer to your questions or have a suggestion? Your feedback important to us.